Published by Sterling Games Inc. Try out the latest, brand new, FREE hit game from Sterling Games Inc, as featured on 1800 Pocket/PC, GamersFTW and GameRevolution!! Get ready to take world cup football to a whole new level with Super Triclops Soccer! 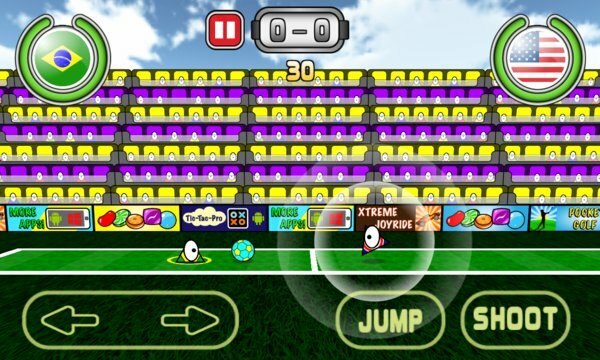 Football meets monsters in this exciting new arcade sports game! - New and improved difficulties! - Achievements are here! Complete challenges and earn medals! 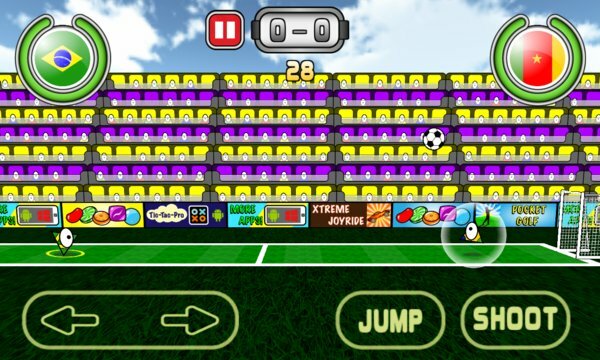 - Customize the game with brilliant new balls, fields and stadium colours! What is a Triclops? A triangle and a cyclops come together to make a soccer-loving monster with an endless appetite for winning! Super Triclops Soccer lets you control the monster and play in a world-class stadium against teams from around the globe! Challenge yourself in three football leagues against rival monsters and see if you can win the ultimate trophy! Whether it’s called football, futbol or soccer, it all leads to one thing: Super Triclops Soccer! How many goals can you score? - Global leaderboards - compare your score with players from around the globe! - Achievements - more than 20 challenges to complete and unlock cool medals! - Fast paced 30-second games for a quick fix, anytime! If you liked games like Pocket Soccer, Soccer Physics, Head Soccer, Soccer Stars and Dream League Soccer, you’ll love Super Triclops Soccer!